Lauren had been planning the wedding for sometime and went into every little detail with some amazing DIY touches. 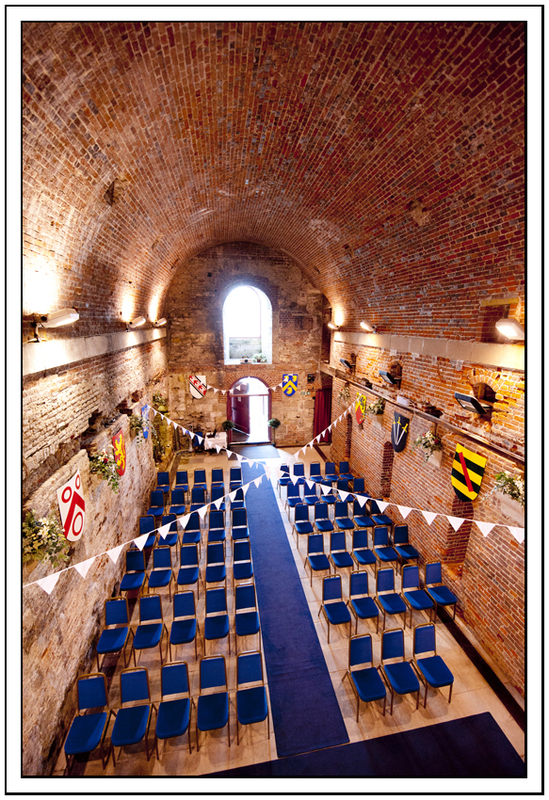 They married at the Square Tower in Old Portsmouth. Built in 1494 during the reign of Henry VII, the Square Tower had a varied history, it was designed as part of the fortifications to protect the rapidly expanding Naval Port. The tower was also used as the home of the Governor of Portsmouth, a semaphore signalling tower, a provisions store for the Royal Navy and as a gunpowder store. 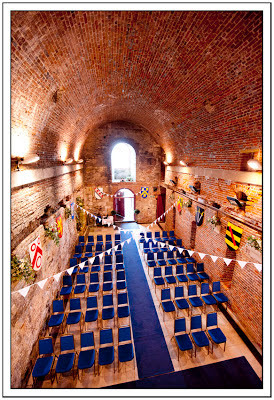 Now used in all it's glory as a popular wedding venue on the south coast. It was then off to the Solent Hotel in Fareham where guests were greeted with Pimms and the most fabulous Xmas dinner. The evening reception then kicked off with a wintery chocolate fountain followed by hog roast and all washed down with the sounds of "Red Jackson" rhythm & blues band. A fantastic day... a real Xmas wonderland feel which flowed very well. Some great DIY touches which I've never seen before topped off with some festive food that tasted divine.